PowerKool® is RHM’s trademarked name for its line-up of coolant, filtration and chip management products and systems. 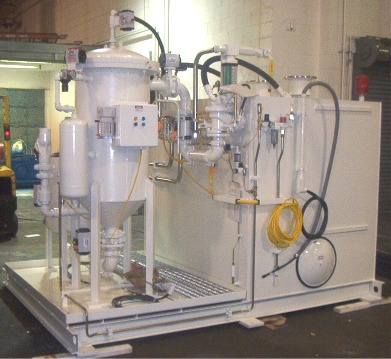 System capabilities include self-cleaning filters, high pressure coolant, chillers, pumpbacks, chip conveyors, pumps, valves and a variety of filtration options. RHM was founded in 1958 as a fluid power company and began designing and building coolant systems in 1989. The PowerKool® name was trademarked in 2000. RHM / PowerKool® is headquartered in Westland, Michigan with an additional facility in Grand Rapids, Michigan.